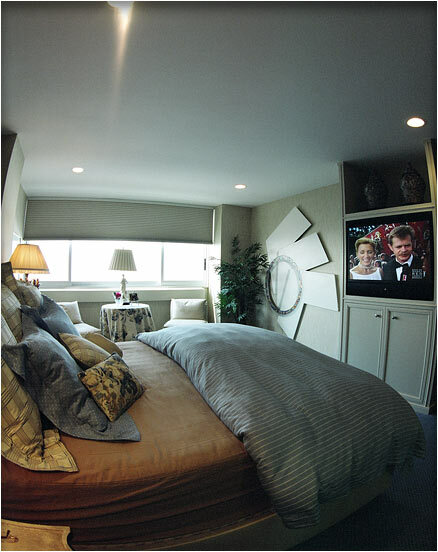 Smaller Project 3-4, Master Suite Remodel » Roger Perron Inc. Here is a photo showing the opposite side of the master suite remodel with new entertainment center. See photo 1 for the other side of the master suite. Master suite remodeling designed by Roger Perron, design-build contractor, with interior decorating of this Century City condominium by Mel Lowrance Interiors.